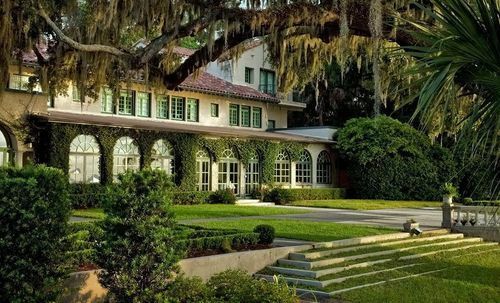 Club Continental is a 1920’s mediterranean style mansion that sits on beautiful grounds along the St. Johns River in Orange Park, FL. Karrie convinced her brother Caleb to buy a portion of the property and build his family a home as well along the river in the 1920’s. He did. 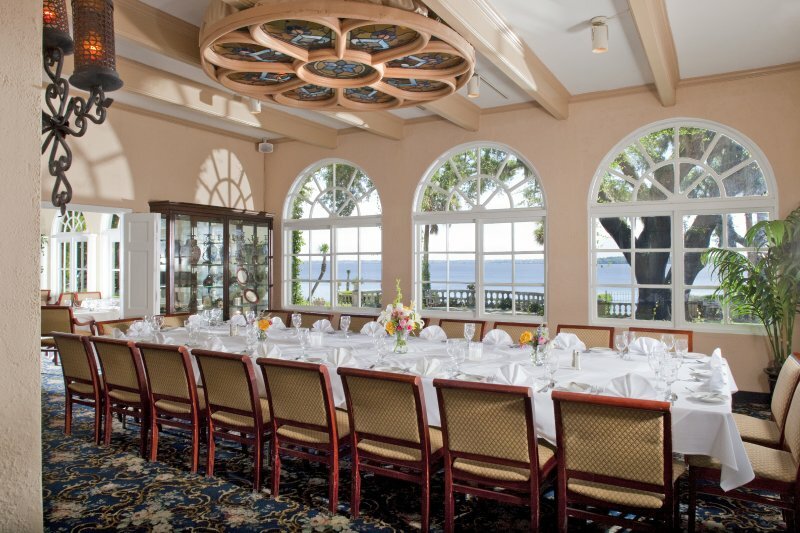 Caleb then hired an architect to design and construct the Mira Rio, now known as the Club Continental. Caleb’s grandson, Jon, decided in the 1960’s that it would make a great private member club. And that is what he did. 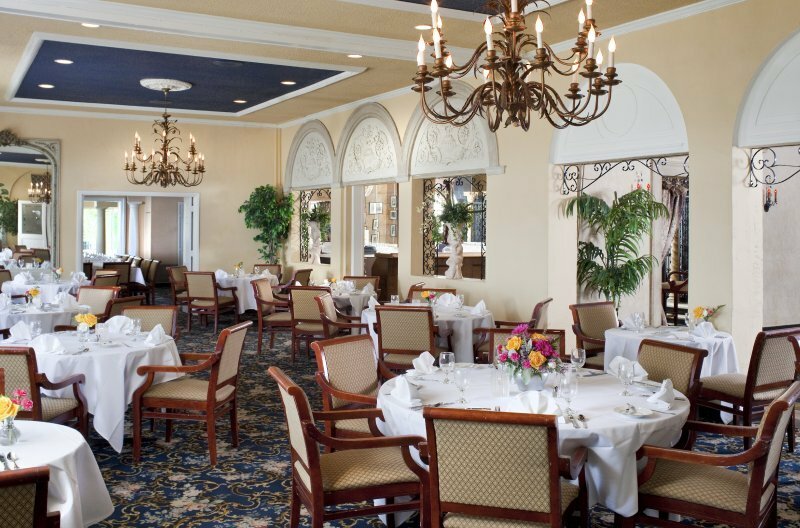 The club has been successfully renovated and updated but has still kept its 1920’s mansion vibe. Which turned out to be the main reason that I decided on it to be my wedding venue. Let’s get started with the pictures! 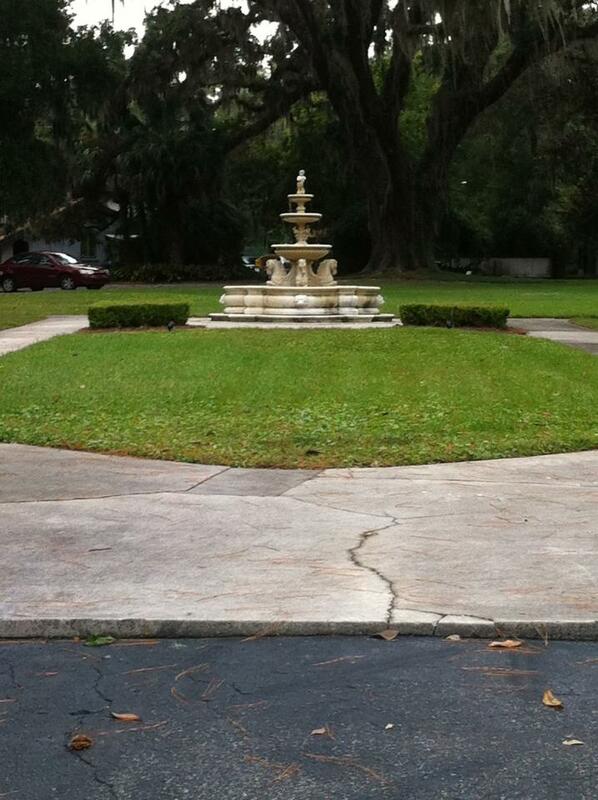 When you first pull up to the grounds you are met by this beautiful fountain across the drive from the mansion. In two rows on both sides of this front lawn are 8 massive magnolia trees (perfect for my wedding since my main flower is the southern magnolia). 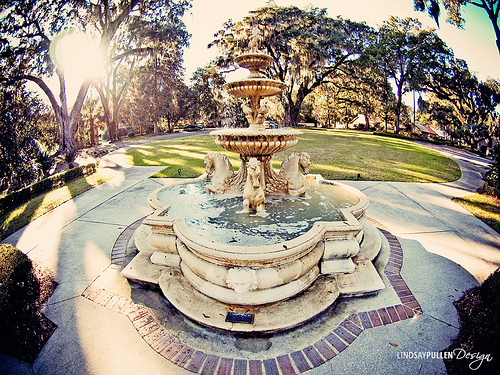 The backdrop of the fountain is a GIANT oak tree, as seen. 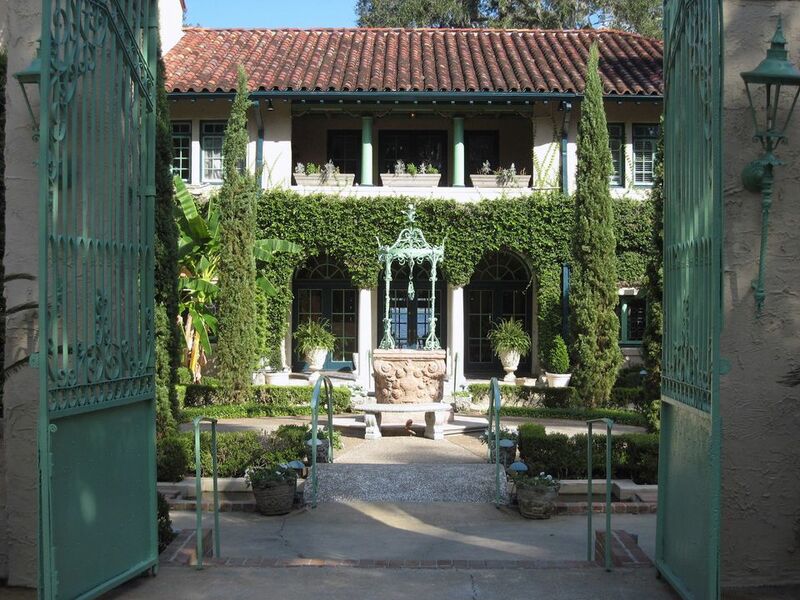 After pulling up and parking and taking in the beautiful front yard fountain and magnificent trees on one side and the front of the mansion on the other, you will walk through 8 foot tall iron gates to the courtyard. The courtyard has a tall water well, no longer working, in the center with a surrounding pond with some lily pads floating on the top of the water. Guests will be able to walk across two small bridges over the small concrete pond. The courtyard has some beautiful topiary and assorted potted plants to give it a lush, rich, elegant feel. 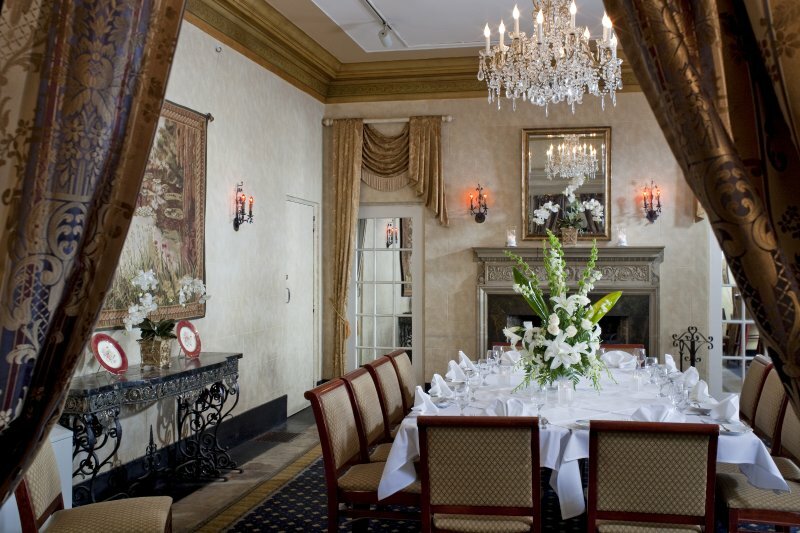 After you have digested all of that beauty, guests will walk through the front french doors into the main bar room, and continue out through the back french doors and have to then digest the equally beautiful backyard of the mansion. 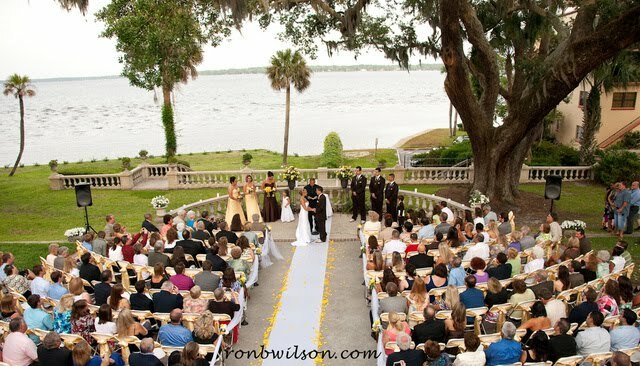 Walking through the back french doors, you see out onto the river and the beautiful ceremony site with a 150 year old oak tree towering over the ceremony site. There is a beautiful grassland that goes down to the concrete barrier waters edge. 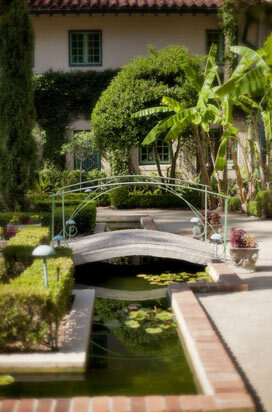 If you dare turn your back to the gorgeous river, your eyes will be greeted with historic beauty of the mansion. 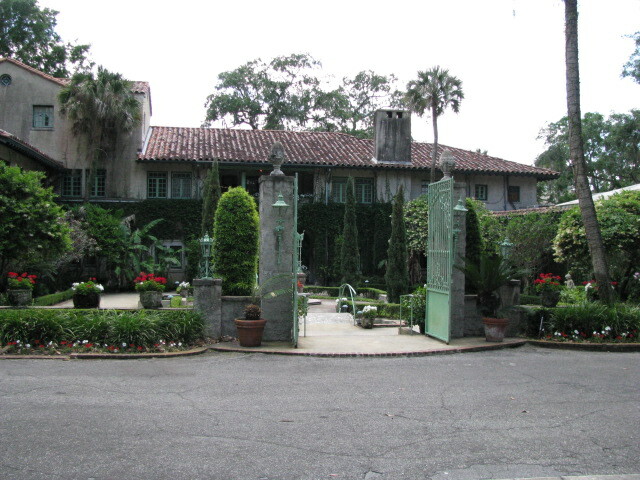 The mansion has ivy growing up the stucco walls and encircling the big windows. 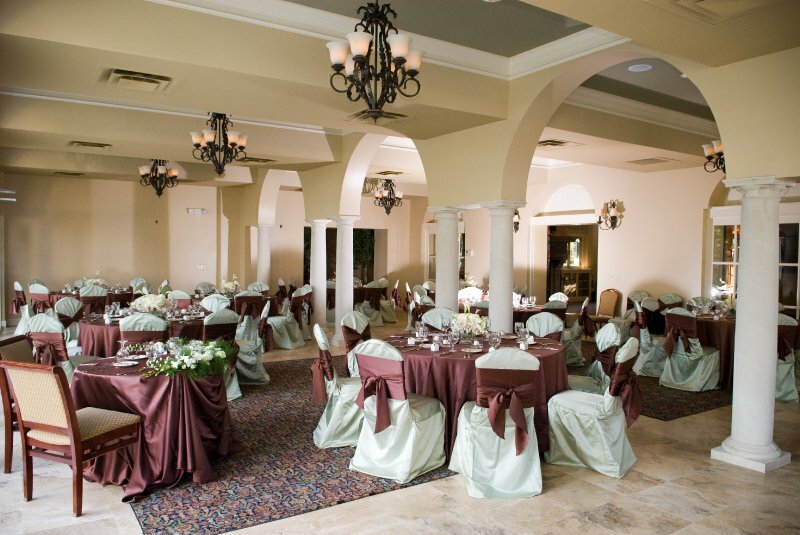 Pictured also is a previous wedding held at the club just to give the full affect of the beauty. Do not worry, I will give you a taste of the inside of the club as well. 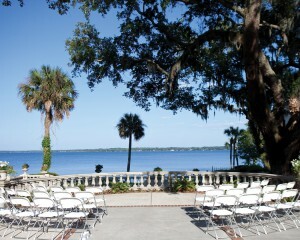 This is where the reception will be held. 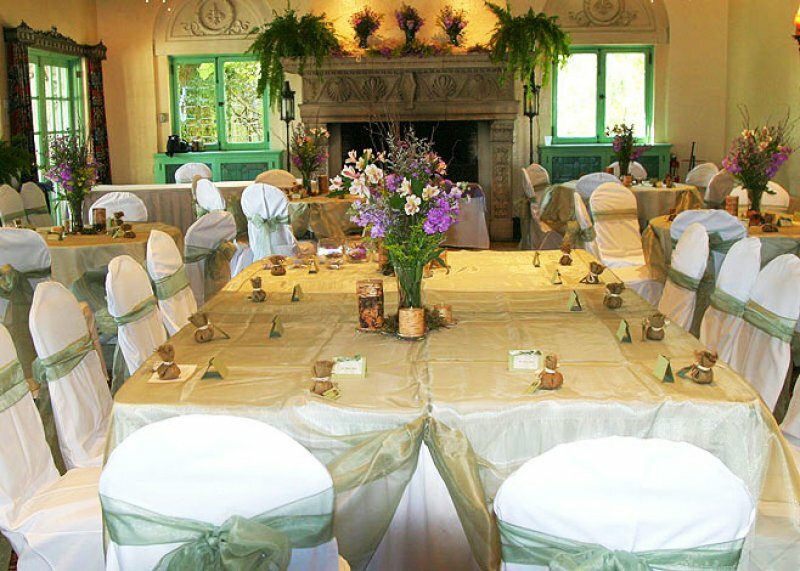 There are five dining rooms, which I have rented all for my wedding. 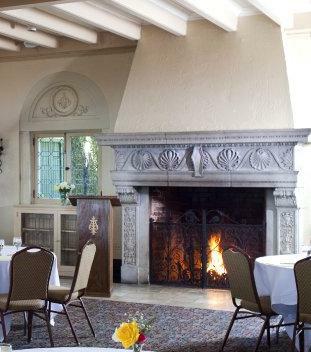 The main dining room, the formal dining room, the riverfront room, the fireplace room, and the garden room (respectively ordered below). The rooms, while technically separated rooms, can be opened up to each other to create a flowing layout. 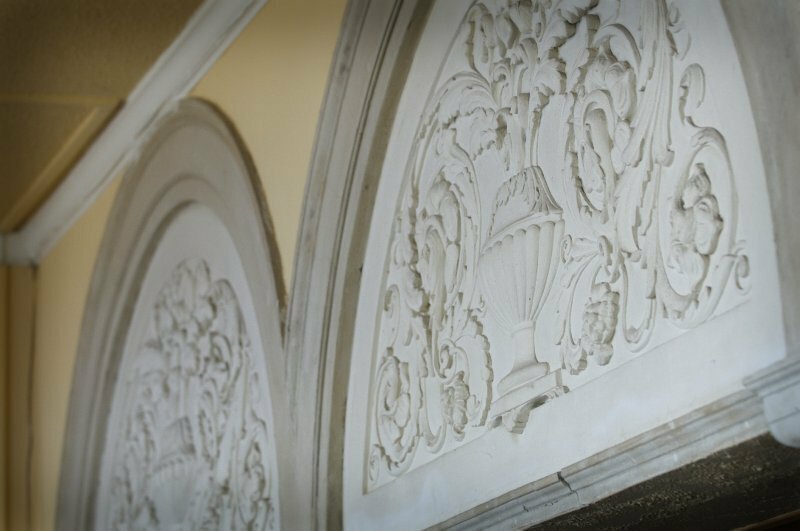 Every room has its own style and flare, but still in its historic way. Thank you so much. I am very excited to start the planning process! Venue down, 3684319 more things to go! !